The United States is inundated with different cities ready and waiting for a growth in population. Here are the 10 up-and-coming cities that are growing, stable, and picture-perfect. With a small population of 57,500, this beautiful town is only 35-minutes from the Big Apple, making it a popular choice for commuters. But, the job market within White Plains is comparable to larger cities with its corporate offices and entrepreneurial spirit. A viable options for families with its top test scores and nature-friendly atmosphere, grab some moving boxes in NYC and make your way north to settle into this more suburban area. 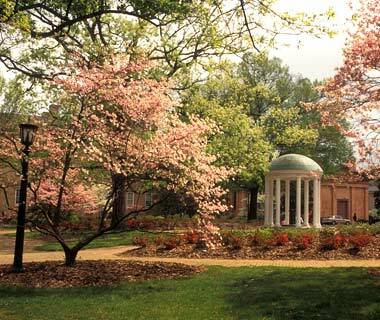 Like something out of a storybook, Chapel Hill is a “town within a park,” as known by locals. The roads wind through tunnels and mature trees, making Chapel Hill have a rain forest-like charm about it. More than just a pretty face, it is also part of the state’s Research Triangle, which boasts one of the highest numbers of Ph.D.s. Closing in on 96,000 in population, Highlands Ranch offers the best outdoor adventures Colorado has to offer. Only a mere 18 miles from Denver, this bedroom community is full of recreation centers, golf courses, cattle ranches, and parks. Home to Apple and other high-tech companies, Cupertino is located in the heart of Silicon Valley. A diverse area, Cupertino attracts an educated crowd, for more than 60 percent of residents have a bachelor’s degree or higher with the city’s primary and secondary schools ranking among the highest performing in the state. Though West Harford shares the border with Connecticut’s state capital, Hartford, the city is a regional destination for beauty and fun. This suburban area is inundated with diverse eateries, retail shops, and weekly concerts. Only 26 miles from Minneapolis, Lakeville is the perfect family town. The public schools are ranked the highest in the state, and during the summer, the kids can enjoy swimming, boating, and fishing at the different lakes. Perfect for the education-minded, Newton is divided into 13 villages built around elementary schools, perfect for kids to walk to school. And, the town is near prestigious universities, such as MIT and Boston College, who partner with the schools. Diverse in activities, Reston is a unique town known for its urban downtown as well as its nature activities such as biking. Close to Dulles International Airport and easily commutable to D.C., this town ranks in as one of the best. Once known as a sleepy town, Carmel has since become the second-largest concentration of office workers and has a small unemployment rate. With its excellent schools, sports and rec center, and focus on the theatre arts, this town is quiet yet thriving. Home to Microsoft and full of quirky shops, eateries, and pubs, this town is known for its low crime rate, high achieving schools, and focus on the arts. Be sure to check out these safe, picturesque communities when planning your next big move. ← Is There A Need Of Having Professional House Cleaning Services?